"Support was quick, effective, efficient and incredibly on point." I like the Flexibility. TimeSolv seems to have nailed our needs. We are a small firm but the power of this Application is incredible. I feel like you truly can customize it to make it work. I am still trying to master the application and although the community help is great sometimes I just can't find what I am looking for. With a few words support is able to help me achieve my goal and if it doesn't seem that easy to achieve they are willing to help make it work which is fantastic. I also have to say that support is fast. I don't think I have ever had to wait for support to answer the phone or if they did miss my call I got a call back very quickly. So Customer Service, Flexibility and Power are for sure some of the Best features this app has to offer. The Phone App. It really needs some work. That being said, TimeSolv has admitted it and are working on fixing it. The first step is admitting something. Much respect for admitting that the phone app needs a serious overhaul and even better that they know it needs an overhaul and are working to push one out. Hopefully it comes sooner rather than later. The setup is quick. The templates you are given are great to get you started. Highly recommend getting familiar with the ability to create your own templates. It is quite the powerful feature. Don't hesitate to contact support. They are available and always willing to help. TimeSolv provides us with exactly as it advertises. It provides us with a flexibility billing system for a small firm like us, and has the ability to grow as the firm grows. I like how easy it is to use the website and the app. It is very simple to be able to look up past communications with clients or past billings from other employees. I like the simplicity that it is to use this app. After a quick tutorial it was easy to use. Sometimes it can be difficult to figure out what category to put a billing under. There are a lot of categories that certain things may fall into. It will help save you time with billings and it will help you keep an easier view of clients or conversations between people in office and the clients that you may have missed. It makes it easy for us to be able to keep up with clients and any information or requests that we may not have talked about as an office. It really helps out with keeping tabs on who you have talked to and what you have done for a particular client. We are spending less time inputting our billings in and it makes it much easier and less time spent on doing that each month. It is easy for billings to be printed on a regular basis. "Best Software Support I have ever found!" This is a comprehensive program, which is amazing for the small cost. So there is a little bit of a learning curve for someone (like me!) who is slow to learn new computer programs. But the one-on-one support - actual telephone conversations with them looking at your screen and talking you through everything, answering your questions in real time, etc. - is the best! It is like having a free expert consultant to sit next to you and teach you! I honestly would pay much more for this software just because of the support, but since I work for non-profits, am very grateful that there is such a great company that provides this program and support for what I can actually afford. You won't regret this! It takes a little getting used to, and I am always anxious about learning new software. But once you use it a bit, it is actually pretty easy! Best software money you will ever spend. I am a consultant that often works on several different clients' work each day. I was losing a great deal of time with my old billing program because it was difficult to switch from client to client to capture time (like phone calls, emails, etc.) each time I got a call or had to stop what I was doing for one client to address an issue with another. TimeSolv makes this very easy, and my billings have gone up by more that 30% since I started! This program is the best money I've ever spent! It's intuitive. I can do more than 95 percent of tasks just by doing the most intuitive action. And, in the rare occasions I can't figure something out, the Support is very helpful, and fast. Its platform neutral. It can be accessed and used on Windows, Macs, IOS, and Android, flawlessly. It's easy to use. It takes all of a few minutes to become very proficient. It has excellent reports. Report generation is the downfall of most data-related platforms. I supposed, designed by computer geeks who don't know know or care how the data is presented. TimeSolv shows no sign of that; they put the user experience front and center. The reports are the ones you need. Another typical weakness of software reports, not only are they ugly, but they don't offer the reports you need to actually operate your business. Again, TimeSolv is excellent. The standard reports generated by Timesolv--with only a few mouse clicks--are attractive, informative, and most importantly, the one's you need. I would--and have--recommended TimeSolv to all my collegues who operate their own firms. It is simply the best. Believe me, I tested out more than a dozen--virtually all of the programs out there. Thank you. typical with many apps, there are too many different places to set preferences. This makes it difficult to correct the data that it displayed on the invoice. It also has a document management module that comes free. As with many software “suites”, since Timesolv is primarily a time and billing platform, the other services lack. There are better document management systems. So, we don’t use the one provided by Timesolv. Its easy to use, works great, with superior technical support. What's not to love? Time and billing. Our invoices get out fast, which means payments come in faster. Hi Bruce, thanks for this warm review. We wanted to let you know as well that we do integrate with both NetDocuments and Dropbox for the robust document management experience you're looking for. If you'd like more information, please contact support. "In House Counsel at Small Company Recommends"
I practiced for over 20 years at large and small law firms with various time-keeping software packages. When I became General Counsel at my current relatively small company, I considered those firm-centered software packages far too expensive to use to track my time internally. Fortunately, a friend suggested TimeSolv. After a month-long trial period, I was hooked. For a very reasonable price, the TimeSolv package allows me to easily and accurately track my time. Now when I or my stake-holders want to examine how I'm spending my time and how my company is distributing our legal resources, the answers are right at our fingertips. The many pre-formatted reports save me the trouble of defining output formats. Instead, I select one of the (well-designed) existing formats, push a few buttons, and -- boom! -- there it is. Frankly, I wish we'd had this software at some of my previous firms, it's so easy to use. It seems to do everything that I recall ever doing with other time-keeping packages, too. I recommend highly. My foremost suggestion is to make the phone-app-based portion of the software synchronize automatically with my account, rather than requiring me to push a button to do this. Recording, managing, and reviewing how time and other legal resources are spent within our company. "Great program. Easy to use and efficient." I like how simple Timesolv is to use. It is easy to learn and has easy to use reports that can be generated in many different ways. Its nice to use the reports to keep track of billing and receiving. Timesolv has helped our company become more efficient and organized. If I had to say one negative thing, I would say that it was tricky learning how to generate the perfect invoice and customize it to fit my needs. I had to learn what sections to put the information in and how to enter it correctly. It was more of a user error and not the program. We are trying to clear up our outstanding receivables. It was amazing to generate a report and really see which clients still had outstanding balances. We are currently working towards collecting from those clients. It is also a very helpful program for keeping track of time. "Law Firm Moves Billing to the Cloud"
Ease of importing existing data into the system. Abbreviations for repetitive time entry language. Easy user interface. Quick set up. Amazing customer service with proactive communication. Would like ability to customize reports and/or filter information on a granular level. Would like the ability to save reports that we run on a regular basis. Expand import and export capabilities across all levels (currently cannot import timekeepers or abbreviations). Look for workarounds to your challenges. Utilize the expertise of the TimeSolv team. Everything I discussed as a challenge I have been able to work around and/or TimeSolv has done for me./committed to a feature in the future. Using a very clunky on-premises time and billing program (Timeslips). We wanted to move all our firm technology to the cloud and move from an on-prem model to a SaaS model. Solves the need for onsite servers which break, and need constant care to secure them from outside threats. Solves the need for a mobile workforce. Timesolv is hands down the best legal billing program available today. With more than 20 years in the legal industry, I've worked with a variety of legal billing programs, and this one tops the cake. Not only is it easy to use, convenient to both law firms and their clients, but if you find anything that you need it to do, that it doesn't currently do, just reach out to the staff at Timesolv and before you know it, they've updated it with your request! Also love the Webinars! Each time they roll out something new, they offer a free Webinar to teach you how to get the most out of every new update. They have literally taken feedback from many, many firms and individuals to design a program that will exceed all of your expectations. The tasks we were previously unable to complete with Timesolv, have all been added. The staff at Timesolv takes their clients feedback very seriously and implements changes regularly. Hands down - this is the best legal billing program out there. Extremely easy to use, excellent customer service, free informative webinars each time they roll out something new, makes billing customers and paying commissions an absolute breeze. Billing our clients is a breeze with this program. In addition to being easy-to-use, the reports and information generated by Timesolv are unbelievable. I recommend this program to any size law firms - it's covers all of your billing and revenue/commission needs. "Very user-friendly, just the right number of bells and whistles"
I like how simple it is, all while providing me enough to keep track of my various billers, billing rates, clients, etc. It's intuitive and doesn't require me to be as granular and rigid as some other billing/timekeeping/project management programs I've tried have been. The Quickbooks sync didn't work as I had hoped. We ended up not syncing with my QB because it would have required me to send out my bills via TimeSolv, which I didn't want to do. However, it was an easy fix, so this wasn't a deal-breaker by any means. If you used Timeslips before, this is a seamless transition (at least mentally). It has been a great product for us so far. I needed an easy way to keep track of multiple billers in different locations, so I needed something cloud-based. This accomplished that and has reduced the amount of time I spend doing billing by 50-75 percent. That's time I can spend doing billable work or, heaven forbid, NOT WORKING. "Solo Attorney Who Has Used TimeSolv for 8 Years"
I've been using TimeSolv since I opened my own practice in 2009. Over the last 8 years, TimeSolv has always been easy to use and reliable, which are 2 of the most important qualities in any kind of software, especially billing software. Since I started, they've made many improvements and continue to improve it only to make it easier to use. I've never lost any data on the system and can pull up invoices and time records from 8 years ago if needed. It also can be accessed from anywhere which is a big help for a solo attorney. It's hard to find anything I dislike about the software. It used to be a little difficult to void bills and correct billed time and expenses, but even that has become much easier lately. I guess it could be a little easier to modify invoice templates, but that's about all I can think of. Give it a try. I think it's better than any of the other competitors out there, especially for small or solo law firms. I can easily input my time and expenses, prepare and send bills, all from my office iMac, my iPhone, or my home MacBook. All I need is an internet connection, which means I can send an invoice to a customer at any time from anywhere. It is so easy to enter time, run reports, view expenses and payments and keep track of all of our client information in one place. I wish there were more advanced search options, like search all new clients brought in on a certain week. also it can be tricky to delete an old client. I can tell you, it is so mice having your master client list all in one place, with all of their trust payments and invoices and regular payments and expenses ready to view with one click. previously we would always have to direct billing questions to one person in our firm. now anyone can answer our clients concerns, view payment history, view billing history, and make changes. Everything is so user friendly and easy to figure out. our billing goes so smooth. Entering time is really easy, I love getting to use the abbreviations. "A highly recommended product with amazing support"
"Easy to use software and excellent customer support." The software is very easy to use and when you are new to the program they make sure you fully understand how it all works by providing online training. If you ever have a question on issue they are quick to respond with help and answers. I have yet to discover something that I don't like about TimeSolv. You can try it free for a month, do so and you will see just how easy it is to use and how easy it is to find answers to any questing that my come up. I have a client whos company has outdated accounting software and they struggle with my payments. They asked me to send separate time and expense invoices each month. My first reaction was that is going to be a pain and added work for me. As it turned out it was already a feature in TimeSolv and it is quick and easy for me to create separate invoices each month. Now my client is happy and I am happy because of how easy TimeSolv is to use. I have been a TimeSolv customer for 8 years and I highly recommend it. I am a one-person law firm so I do everything myself. I needed something very user friendly and easy to use and this is. I wish it would automatically generate a new invoice for those clients who you bill and they do not pay the whole thing off at once, but then if you don't do any work for them that month, you have to trick the system into generating another bill. It's easy enough to do but you have to remember to do it for each client that falls into that category and it's an added step. I think there's a way to generate a statement instead of an invoice, but I like to do everything by invoice all at the same time every month. "Timesolv is the best platform for my small business"
The layout of the platform and scroll down menus are extremely user friendly, as is the ability to generate hard copy and pdf professionally finished statements. Also, whenever I have a technical issue, customer service is always available and extremely prompt at addressing my issues. There is nothing to dislike about Timesolv when you compare Timesolv with other such service billing software platforms, both on line and downloadable. Timesolv is simply the best. The beneifts that I realize is that I have been a Timesolv customer since the beginning, and even though the company has grown to much larger proportions, due to the the brains of the operation, Raza, Timesolv still makes me feel like I am dealing with a company where the people actually know me. Easy to use. Easy to track time and generate bills. I haven't found anything better for the price. 1) Ability to apply payment to specific things, like costs only or fees only. We frequently have clients who are contingency and they pay costs. It becomes hard to track what they've paid and what they owe because the payments just get applied by invoice. 3) The payment interface is not the MOST user friendly. We've gotten used to it over time, but it's been complicated to move trust money at times. We are tracking our time and billing clients. "Called for help on an allocation- amazing customer service!" If I ever come across any difficulties, I am able to get someone on the phone via customer in minutes. As opposed to some companies, where you could be on hold for anywhere from 10 minutes to an hour. The online manual is not as descriptive as just calling someone from the customer service line. Utilize the webinars to better familiarize yourself with Timesolv before using. Fantastic product! Keeping an online record of all billing and payments as opposed to having to use a formula in Excel. "This product is easy to use and offers excellent billing options"
It's easy to use, and I like the way I can add private notes for my file, that don't show up on the bill, but are available if there is any question. I also like the way I can update entries, either on the calendar directly, or from the bill (which also updates the calendar). Also like the timer. Bill formatting. I like the options I have for different types of clients. I also like being able to work on or off line. It is a simple solution to attorney billing for small law firm to track their time spent on files. Especially for a firm that uses another program for case management. There are so many excessive billing program out there that cost a fortune and you only end up using the billing portion of it. TimeSolv has the AWESOME feature call Time Sync which allows you to capture time and expenses as you are working on the computer. No more tedious time sheets! I love the feature and it works exceptionally well with dual monitors where you can keep it in the fore front while you work. I think the retainer options can be better. I wish there was a way to enter a paid retainer and be able to deduct from the retainer amount. Also, I think the organization of client and matters could be better design for more customization to the firm. For instance, the option to just put in a client or a matter instead of having to do both. See first page of review. Im not sure that this question applies to me. The basic features one would expect from a time keeping and billing system are efficient and intuitive. Time entry is a breeze. The availability of customer support is the best I have ever experienced. We are just getting started with Timesolv and still working out issues for it to integrate with quickbooks online. The initial set up is easy and the time entry and bill preparing features are very intuitive. Also, the trial time is very reasonable compared to Clio. The video tutorials are very helpful and customer support is top notch and I get to a live person almost immediately. Compared to the time keeping system at my previous firm, time entry is very efficient and easy. "Law Office of Steven Medearis review of TimeSolv"
The Time Entry Section is extremely effective and time saving. The Calendar makes it easy to switch between days and billable employees. The abbreviation short cuts really save us time when entering our billing into the system. The duplicate entry feature is also very convenient and saves a ton of time when you have multiple Clients with the same billing entry. We have run into a few issues with the Trust Account feature interfering with our outstanding balances but after speaking with Ron at TimeSolv he was able to assist us in straightening our issues out. The program is fairly easy to use once you spend some time using it but there are a lot of features and they can get confusing if you have never used a billing program before. "Much Better than using a pen and paper"
I can immediately input client time from any device and anywhere I may be. It is made capturing time a breeze. I really have no particular dislikes. TimeSolve meets all of my time keeping needs. Though creating a bill could be more user-friendly. Keeping track of time is a breeze. Compiling time spent and expenses outlayed for a particular client is a snap. I would recommend to anyone. Keeping track of time that I had previously lost. It has been amazing how easy and simply it is to keep track of time. Ease of use. I found the application extremely intuitive, and for few times I did need some help the customer service team was available at the drop of a hat. The only limitation I've come across is that you can't change a project allocation once time has been applied against it. I operate a marketing agency and needed to find a solution to track time spent on various client accounts. Although TimeSolv is geared towards the legal community, I found the features and functions were exactly what I needed to track multiple projects across various clients. Their customer service team is excellent and super easy to access. Hello and thank you for your kind review. We would love to talk more about your issue on changing a project allocation once time has been applied to it. We believe we do have a solution for you. Please call our support at 1.800.715.1284 so we can learn more about the issue. Thanks again! I do appreciate that it is very self explanatory and you can easily do your daily entries and reports are easily pulled. I have admin access and there was an issue once with the assigned rates. Ultimately I had to go through all past entries to fix the rates. It would have been amazing if there was a way to easily do this. I manage a call center so often time we have to go back to apply time if we exceed our forecasted volume. It is a breeze since I am able to do this versus asking for the staff to make the changes, especially at the beginning of the month. It does exactly what I need. I am a very small firm. Only two people in my office. I previously used Timeslips and then Chaos Legal. TimeSolv does the job exactly as needed. It has abbreviations (snippets) that are excellent. The program is easy to use. Invoice generation is great. Gives me choices for sending invoices by paper and/or email. No problems whatsoever. I highly recommend if you are looking for a time recording and invoicing program. I like using it. Customer service was excellent. Their outreach to me as a new customer was outstanding. It's just time-management. I am moving to a law practice management system that has time and billing integrated. I would like to continue to use TimeSolv, but because my law practice management software also does time and billing functions, I will likely stop using TimeSolv. The cost of TimeSolv is reasonable. But, since full law practice management software is only a few dollars more per month, it will not make sense for me to keep TimeSolv. If you just need a time, invoicing program it's excellent and I highly recommend it. Easy to use, excellent program that records my time and I do not have to spend a lot of time with time entry, maintenance, etc. Invoicing is easy. It's a pleasure to use. TimeSolv does capture all information entered. It's only as good as the data that is put into the system. it does help speed the billing process, as we bill on 2 week cycles. Employees seem to like the ease of time and expense entry. allows for accurate billing of material and time to a project. "Excellent customer service, superb product"
So easy to use! We have a small shop, so we appreciate how quickly we can generate our invoices. It took almost no time to learn how to use TimeSolv; when we have questions, our rep responds quickly and clearly. Highly recommend! There were a few tasks that I could not immediately figure out on my own, but the training provided by my rep was outstanding, and when I need follow up assistance, I received a clear response right away. The customer service is fantastic. I found the product wonderfully intuitive - so easy to use from the very start - but when I have had questions, the service rep is prompt and always provide a clear response. Highly recommend! I need a simple straightforward timekeeping and billing solution. TimeSolve is perfect for our needs. We could not be more pleased. "A key business foundational tool." 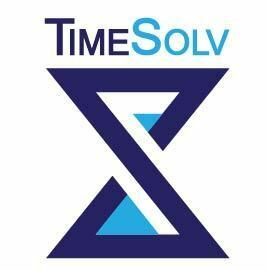 TimeSolve enables a deep level of time and expense tracking as well as project tracking across a distributed workforce. Would like additional control over report layouts and access to data by role. We are a UX consulting firm, not law but TimeSolv is a very configurable platform and lends it self well to any type of consulting or service consulting practice. Ability to tie into contractors reporting for their billing process while aggregating multiple resources T&M into rolled up invoices. Timesolves granularity in tracking both effort, type and costs against client project plans has increased resource utilization and reduced issues in time tracking. "Time entry and invoicing made simple and easy." Setting up clients and matters, time entry, and invoicing is very intuitive and easy to use. The only thing I have a hard time with is the time entry interface does not have a date field. You have to click on the calendar. While it's useful to click on the calendar, it would be nice to have a date field that populates and that can be edited. I've accidentally entered time on the wrong date many times because of this. Timesolv is perfect for simple time entry, client management, invoicing. Time entry and billing are far easier than any other software that I've used. The Customer Service and the overall ease of billing. The beginning learning curve when you first use it is definitely different. Just do it. Use the customer service and let them walk you through everything that TimeSolv can do. It solved our billing issues. It was so difficult to run invoices and it was costing so much in company time to run invoices. Ease of use, clean interface, and amazing tech support; very responsive company. That I did not find it sooner for my private practice. A worthwhile expense even for a solo, private practice professional. Split billing and tracking retainers is easily managed by the software and saves me a tremendous amount of time over tracking in spreadsheets and manually creating invoices. It made the transition easy from our antiquated system. It is very easy to learn and is easy to use. The support service team is wonderful; almost always available to answer your questions at a moments notice; and I like the fact that I can schedule one-on-one time with someone to go over specific items. The initial naming convention did not match our current client/matter numbers; however, with the assistance of the support team, we were able to quickly make adjustments to accommodate our clients' billing requirements. This new system has allowed us to get invoices out in half the time of our old system. "Great product for billing and conflict checks"
It is very streamlined. easy to find what I need, enter a time entry or a new client, and one tap to sync the app to my online account. I've had a hard time with other time tracking systems because they are clunky and take too long to enter information. This is not the case with TimeSolv. The dashboard and tabs are laid out well and it's overall a really easy system to navigate and use. It has definitely paid for itself in catching time that I previously lost. Nothing comes to mind. I know that I need to explore it more. Solving the problem of lost time and increasing billable hours. "Great for a small business"
Tracks my time and automatically logs it to the assigned client and project, but I can edit it at any time. I love the desktop widget for tracking time as I work rather than having to do so via in the system via my browser. Great to be able to preview invoices with a click. I LOVE the support. Great to be able to talk to a live person and get persaonlaized guidance and solutions with desktop sharing. I expect to need this less and less (only used it 2-3 times so far and I pretty much have everything sorted the way I want it already). It would be good if it were possible to preview reports at a click, just like you can with invoices. I'd like more flexibility with customizing invoices and reports. Some small things are not supported so I do workarounds in excel or in the PDF. The backup service is needlessly expensive. If you need to track time for projects and bill according to time worked, this is excellent. "Intuitive Streamed Line Law Practice Software"
TimeSolv has an easy to use interface that streamlines reviewing, editing and processing invoices. Gone are the days of printing off invoices for review, hand-editing them, manually making adjustments, reprinting and mailing the invoices. With just a few clicks, I can edit the invoices and send them via email to my clients. If the client does not have email - no problem. You can still print and mail them out. Although TimeSolv works with Quickbooks Online, it tends to work better with Quickbooks desktop. I highly recommend this system for law firms. The various reports, time keeping ability, trust accounting and invoicing features is excellent. TimeSolv handles all of the timekeeping, trust accounting and invoicing. We still use Quickbooks, but the trust accounting piece of TimeSolv, invoicing and the timekeeping is amazing. "Legal billing for small family law firm -transition team from our old software was so attentive"
Layout of the remittance page which depicts trust and current amount due could be laid out cleaner. I would like to see the need to "allocate" payments eliminated. If a client pays a bill I'd like to see the payment applied without the need for "allocate" button to be hit. Give it a try. Let Tiann walk you through for a month or two. If you need a "bell and whistle" you aren't finding, ask for it. "Quick, Simple and Easy invoices that look great!" The best part of TimeSolv is how easy it is to use and generate professional and easy to manipulate invoices. You can use every aspect of the system which is very robust yet easy to explore and easy to create invoices that are sent off directly to a customer. The customer support is a chat box away as well which is awesome. I do not dislike much of this program at all. I think the biggest downfall is that the mobile application can be utilized a little more efficiently and cleanly. It has limited access as to what you actually can do. It only allows you to input and time times and requires syncs very often. I would use the web based application more than the phone application. I would use a timer to track your time and notepad in the phone instead of using the phone application in the first place. I am solving invoicing and time tracking for our small business operation and for this information to be utilized by our larger parts and than sent off to customers. This also solves time tracking from the internal and external side so we can confirm hours of billable activity. "Full Functionality for Billing and Trust Accounting"
The trust accounting is by far the best feature. It allows you to establish multiple trust accounts within each client. It also doesn't allow you to utilize more trust funds than what is available. The systems tends to get really slow at times. It can take several seconds for a screen to load. They have also done an update that doesn't allow for a search of trust accounting by a particular client. Instead it's all transactions with certain groupings. The sync functionality is amazing - when used correctly. Be sure you are reviewing your data for duplicates (typically user errors). I'm a trust accountant - and that's where my area of expertise lies. With that said, all of my clients utilize multiple systems to get everything accomplished (billing, bookkeeping, trust accounting, etc.). TimeSolv makes it a breeze to reconcile the multiple systems with it's sync functionality and detailed reporting. "Always great customer service from Gigi!" The simplicity of the software and the ability of consultants to enter their time online anytime and from anywhere. We can use that information to generate invoices with few clicks. It has become harder to reach customer service rep. The ability to enter time online and generate bills from that is a big plus for B+B. "Moving to TimeSolv Cloud Based Billing was a great decision for our firm." Some of the best things about TimeSolv is that it is very user friendly and cloud based billing gives staff the ability to work from anywhere. Our firm was previously using TimeSlips and TimeSolv has been a blessing. In addition, we have been working with Billing Expert Tiann Stout who is extremely knowledgeable and responsive. She has helped us with setting up TimeSolv for our office and also with up-loading our bills to websites such as, Tymetrix, Legal-X, Bottomline and LSS. Working with her has been a great experience and I would recommend her and TimeSolv to anyone looking for a new billing system. I have been working with TimeSolv for a little more than a month and truly have not found anything I dislike. Cloud based billing allows all staff to work from wherever they are which helps them keep track of their time. Two way syncing with Quickbooks. Easy web based interface. Easy billing with lots of custom settings. Ability to import data from previous systems. Quick implementation. Love the Retainers/Trust options. Works very well. True Aged AR. Able to adjust/write off invoices in the correct current accounting period. Would like a split matter billing. Would like to be able to customize the invoices a little more. They offer a free trial for 30 days so you have plenty of time to test out all the features. Tech support is free and helpful, though I seems they are very busy, so response times can be slow. Timekeeping and billing. Syncing with Quickbooks. Tracking Retainer being held. Now, the system and are books will always match. Very simple format to use. Easy to cut and paste for similar billings. Compared to our other method, this one helps you track all billable events. It is surprising to see what billings were missed in the past before we had this product. Haven't really found anything yet since we have only been using it since October 2017. Give it a try! Great product. We use it to reflect all billable events for our clients. The benefits from this product lie specifically in Increasing the accuracy of such. It took me some time to get used to a new system and I had to call customer service several times. Each time my questions were answered, the staff was not rushed and it was seamless. Twice I have been lucky to speak with Tiann and she has been fantastic! I have to remember lots of steps...but I'm slowly getting the hang of it. Merging several projects into one easy to understand bill has been tough on us. While the learning curve is steep once you get the hang of it it gets much easier. The customer support rocks. Time management, billing multiple clients and we love the fact that it is not software based but in the cloud.Helps with recovery. I like the user friendly navigation throughout the site, the preview feature in the draft invoices, and the numerous options for downloading an invoice into different forms. I dislike the lack of connectability to accounting software, the sync feature is fine but improvements can be made so that it syncs better. Billing, time keeping benefits and search options/reports are good for AR purposes. Gives me an good picture of my weekly and monthly billing amounts without having to scroll through each day. I get a quick picture of the monthly revenue simply by logging in each day. I still have a hard time figuring out payments between my trust account and IOLTA and marking bills as paid. I also think the reports need to be more streamlined. There really needs to be a report of all time billed on a case. I also cannot sync this program with QuickBooks due to the windows version I have. So I actually have to run an "income" report in Timesolv and then a QB report on expenses, profits, etc. I can easily determine if I'm hitting my billing targets each day and week without having to search and run reports. Timesolv links with my credit card processing program, so credit card payments are automatically incorporated into the billing. The billing invoice is a bit difficult to follow, especially the trust account designations. This is a fabulous program and so easy and efficient to use! Billing used to take so much time that the bills were not getting out on a monthly basis. Now, the entries are made on a daily basis because it is so simple and quick, that all that is needed at the end of the month is to hit one key and the bill is created. One more key, and the bill is emailed to the client! "It is easy to get used to, and customer service is great. It is fairly intuitive." I can keep track of my cases in the "notes" section, and I can keep track of my financial data in several sections. It is a "cloud" based program, so I don't have to worry about losing important data should my computer crash. The customer service department has been very helpful and has put up with my many calls for instructions on using something I hadn't tried before. There are not enough fields for telephone numbers or address information. If you are on one page of a case, you have to take too many steps to get to another page of the same case. There is a learning curve to understanding how to find payment, escrow deposit, and expense charge data. I still am learning how to find time entry data without downloading a series of old invoices. I am able to keep a running diary of my case activity. I am able to bill by clients for time and expenses. If you have more questions, please let support know at support@timesolv.com or 1.800.715.1284. Thanks! "TimeSolv plays all the right notes for me"
Simple to set up. Simple to maintain. Easy to use. There is nothing that TimeSolv doesn't do that I need to do. As I am a single user of the product I can only share my experience. Not sure how the product scales for larger implementations etc. I can tell you that the software works for me, the price is reasonable compared to other products I see in the market. I have not had an issue for over 2 years but when I did the service team was johnny-on-the-spot with help and answers. As an independent ERP consultant. A one-man band so to speak. So it is important that I am able to submit my invoices to my clients as easily and quickly as I can. I normally travel to the client site during the week and back home for the weekend. I don't want to spend my weekend doing paperwork. TimeSolv allows me to keep my T&E on a daily basis and then on Saturday morning wrap it all up and invoice it. I can then easily transfer the information to Quickbooks and its' job done before anyone else in the house is even awake on Saturday morning. Timesolv is very good for logging in time per day. It's ease of logging in time takes less time than other attorney billing software that the office has used. It also will allow no charges per bill if professional courtesy is given. Some of the functions do not work and are not intuitive. The retainer account function works very poorly. It still takes about four hours to finish the bills as the retainer account function is so bad and everything has to be put in manually. Also, if one wants to switch from one page to the next the page has to be saved otherwise the data is lost. I hate that at the end before the bills are sent out, that we have to put the function on "print" instead of a preview button, the print function has to download, then we have to void to draft and then send it to a client by e-mail. The e-mail to the client does not appear to be encrypted. Finally, there is no interface with box.com. Fix the retainer part of the software as it is very bad. Have it integrate with box.com. Have a preview section of the bill. Make the software more user friendly. It should not take four hours to do bills with Timesolv. It takes me four hours to complete these bills as the product doesn't work seamlessly. I have had it about three months now and it is still taking me too much of my time. I could use that time to work on billable matters, but have to get the bills out. It pretty is easy to use. The time-keeping feature can also be very helpful when billing a long amount of work. I also like how all my billing for the day can be seen in one screen. The expenses entry screen is not very effective. When you add a new case under a client, you have to re-add the contact of that client to that case. This add additional work and is not efficient. There is no option that I can see to add a contact that already exists in the Timesolv system. I also wish that viewing Billings can be more customizable and organized. For example, going through the Timesolv calendar day by day to find your Billings is inefficient. There should be a more organized, simple, and customizable way to do this. I have experienced a more organized billing process; the final bill that we five to clients are pretty easy to read and go over. Adding time to cases is also more easily done and the entry bars are simple and quite user friendly. If I had no training on how to use TS, I still would not have found it difficult to find my way around. Hello! Thanks for your feedback on TimeSolv. I wanted to reach our and let you know we do have the functionality to add existing contacts to your new matters. As well, you can view your time entries in other ways beyond our calendar view. We'd also love to hear feedback on how to make the expense entry more efficient for you. Please contact our support team at 1.800.715.1284 or email support@timesolv.com and we'll show you these functionalities! * We monitor all TimeSolv reviews to prevent fraudulent reviews and keep review quality high. We do not post reviews by company employees or direct competitors. Validated reviews require the user to submit a screenshot of the product containing their user ID, in order to verify a user is an actual user of the product. Hi there! Are you looking to implement a solution like TimeSolv?